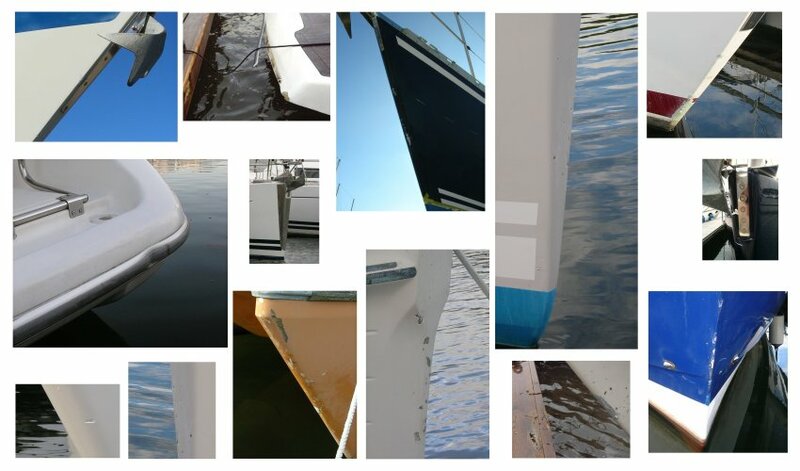 The innovative design and robust construction of FenderFlex™ provides really effective protection for boat hulls. Using FenderFlex™ will avoid your boat getting the many scars and hull damage so typically suffered due to inadequate fender protection when docking or retrieving anchors. The unique hinge at the heart of FenderFlex™ allows a perfect fit around those awkward bow and stern angles. The design pivots with a distinct toe-in to allow FenderFlex™ to be suspended with only 2 lines on most bows - so avoiding the need for bridles and multiple lines. FenderFlex™ is a substantial product made only with the highest quality marine grade materials. FenderFlex™ is extremely cost effective compared with the repairing hull damage.